A few weeks ago I was given the chance to attend Genomes to / aux Biomes 2014, an evolution and ecology conference held in Montreal. My registration was courtesy of Canadian Science Publishing, to whom I am very grateful, and I wrote about my experience for their blog. You can read all about it here. . 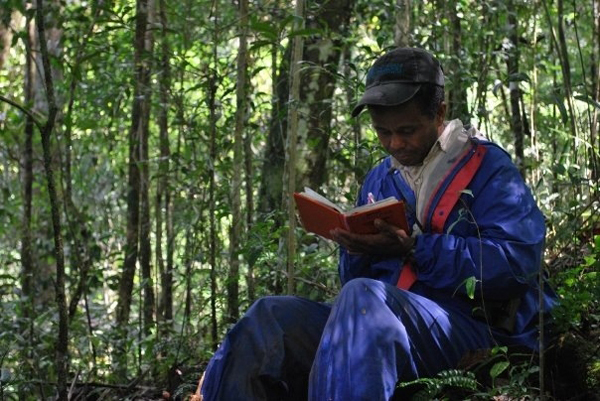 This article was first published on mongabay.com. You can read the original here. 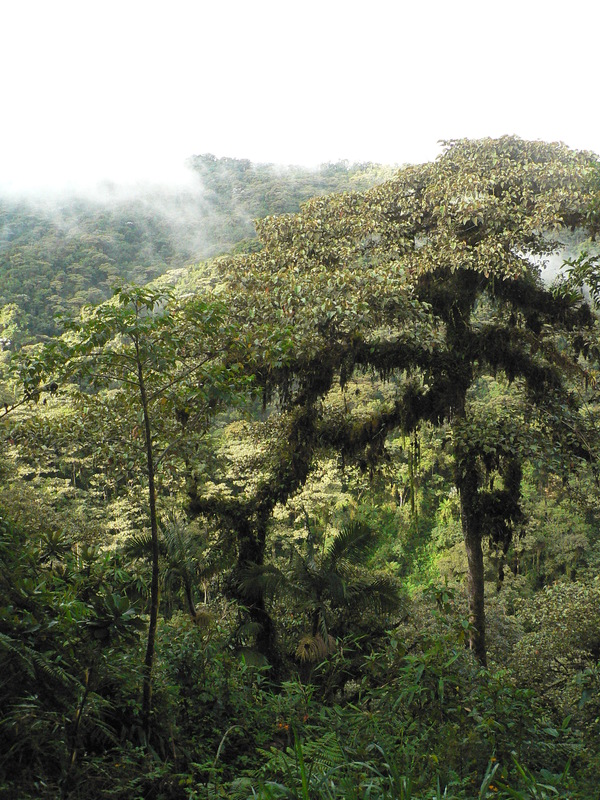 Tropical tree communities are moving up mountainsides to cooler habitats as temperatures rise, a new study in Global Change Biology has found. By examining the tree species present in ten one-hectare plots at various intervals over a decade, researchers found that the proportion of lowland species increased in the plots at higher elevations. 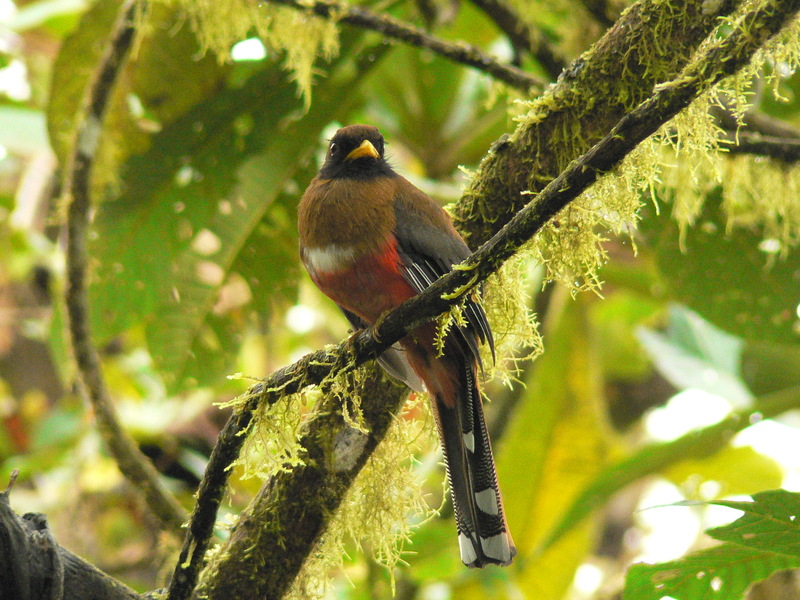 The study, which was undertaken in Volcan Barva, Costa Rica, adds to a growing body of evidence that climate change is having an impact on species range distributions. 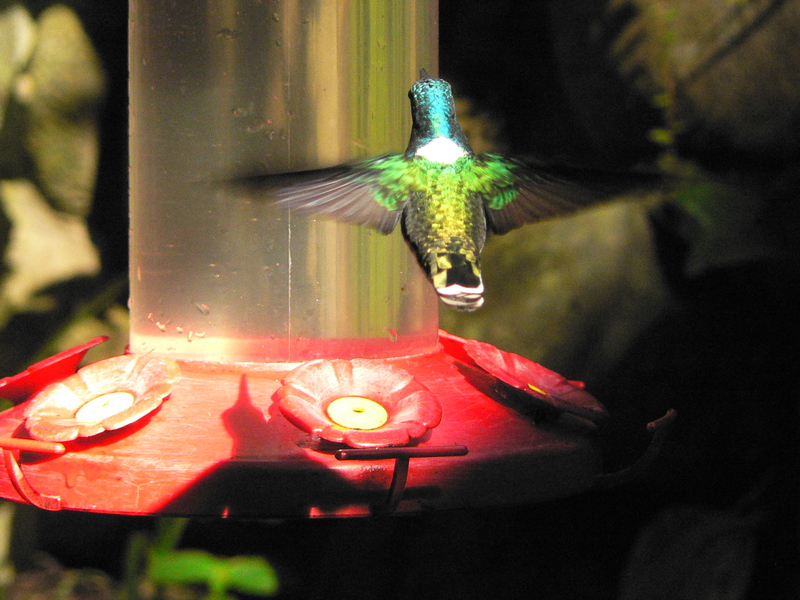 As climate change leads to warmer temperatures, species must respond if they are to survive. One way to do this is to migrate to new habitats that become suitable (and away from old ones that become unsuitable); another way is to adapt to hotter temperatures, but the speed of climate change may be too fast for some species to evolve to keep up. 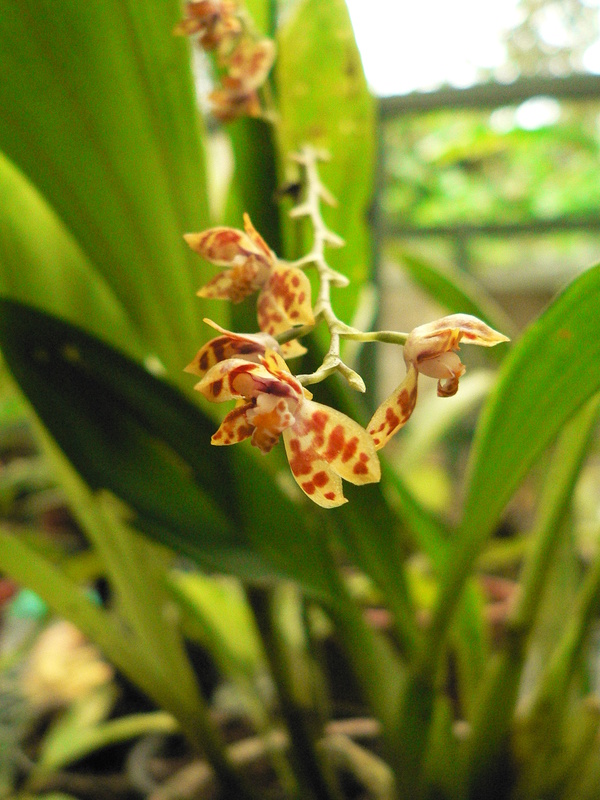 In some cases, if their physiology permits it, species may be capable of tolerating increases in temperature, but the likelihood of this is unknown. 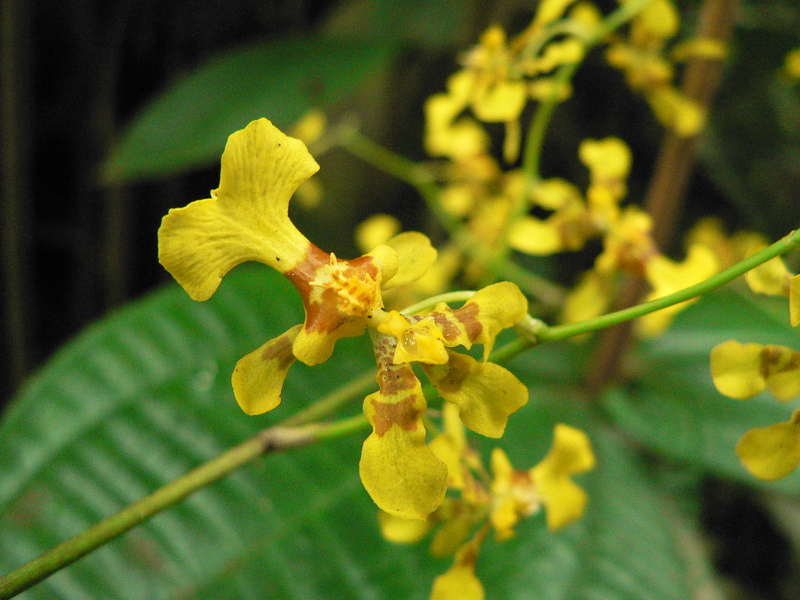 The researchers first turned to herbarium records to calculate the preferred temperature of thousands of tree species, by looking at the geographic location of sampling locations and the temperature ranges they encompassed. With the temperature preferences for each species known, it was then possible to calculate a ‘community temperature score’ for each of the ten study plots, by averaging the preferred temperatures of all species present. 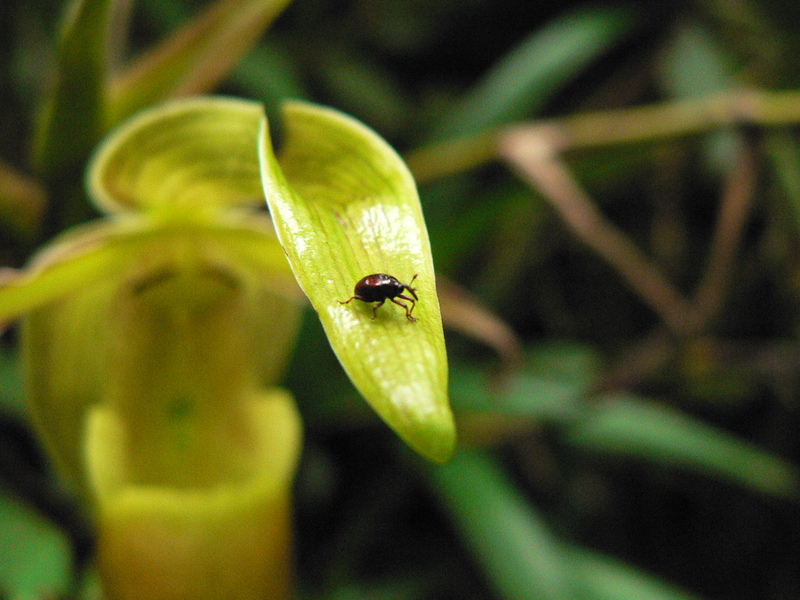 A high community temperature score indicated an abundance of species found in the hot lowlands, whereas a low community temperature score reflected the presence of high altitude species from cooler habitats. Plots were monitored over the course of a decade, and in nine of the ten plots the community temperature score increased. 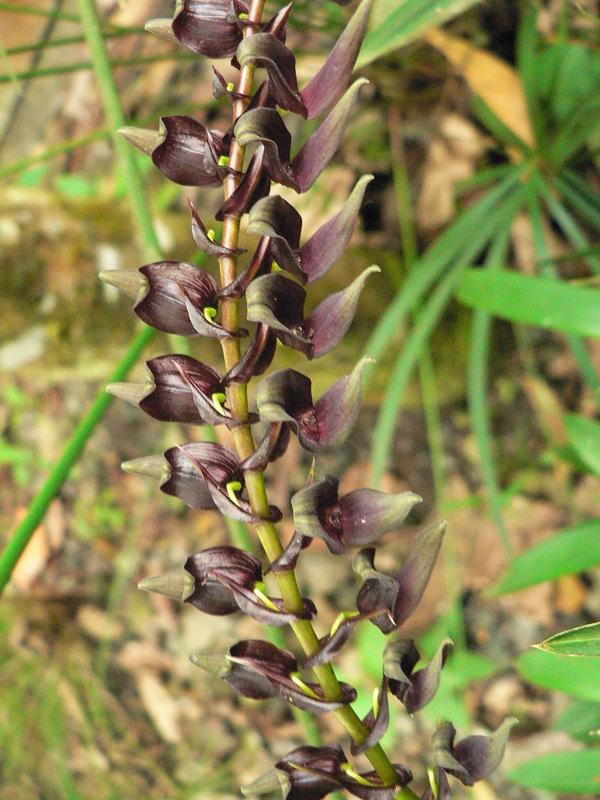 This indicates a shift in species composition, with the relative abundance of lowland species increasing over time “exactly as predicted under climate-driven upward species migrations,” Kenneth Feeley, lead author of the study with Florida International University and Fairchild Tropical Botanic Garden, told mongabay.com. These changes corresponded to a mean thermal migration rate of 0.0065°C per year. However, over the past 60 years regional warming has been 0.0167°C per year, so the average migration rate observed across plots is not fast enough to keep up with the rate of warming. Still, encouragingly, when looked at individually, migration in 4 of the 10 plots did keep pace with regional warming. Changes in species composition can be the result of different processes: species abundance can change without shifts in the overall range distribution, ranges can shift, and ranges can expand or contract. Identifying which of these underlies changes in species composition is important, because “depending on which of these processes is occurring, predictions for the future of ‘migrating species’ will vary from positive (under range expansions), to neutral (under range shifts) to dire (under range contractions),” Feeley explains. To examine the specific causes of the compositional shifts in the study plots, the researchers measured stem growth, recruitment (the establishment of new trees), and mortality. They found that the main driver behind the increase in the relative abundance of lowland species upslope was in fact the disproportionate death of higher elevation species. “Our results indicate that dieback is happening much faster than expansion. This means that species’ ranges will shrink. As ranges shrink, species will be more and more prone to extinction,” Feeley said. 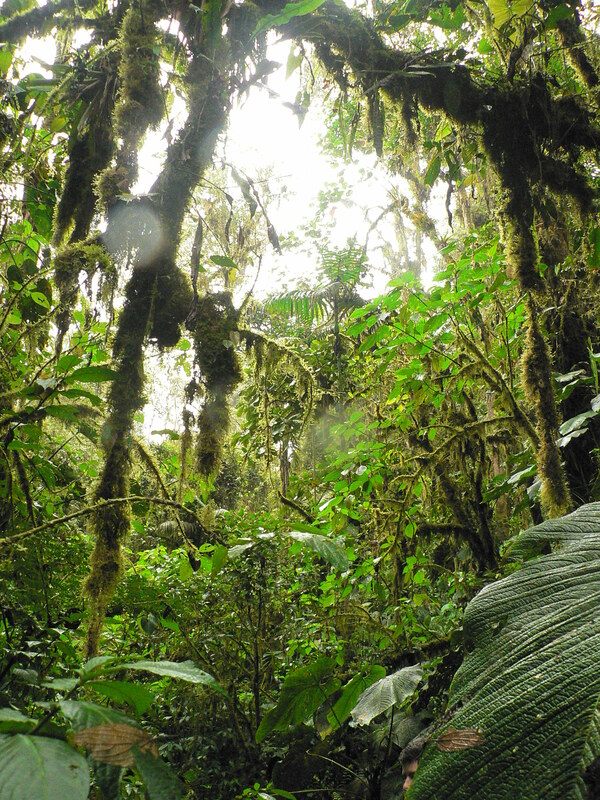 An earlier study by Feeley and colleagues investigated related questions in the Peruvian Andes and came to similar conclusions, suggesting that their findings may be generally applicable across the tropics. While range contractions increase the likelihood of extinction for individual species, they also have a broader impact on patterns of biodiversity. 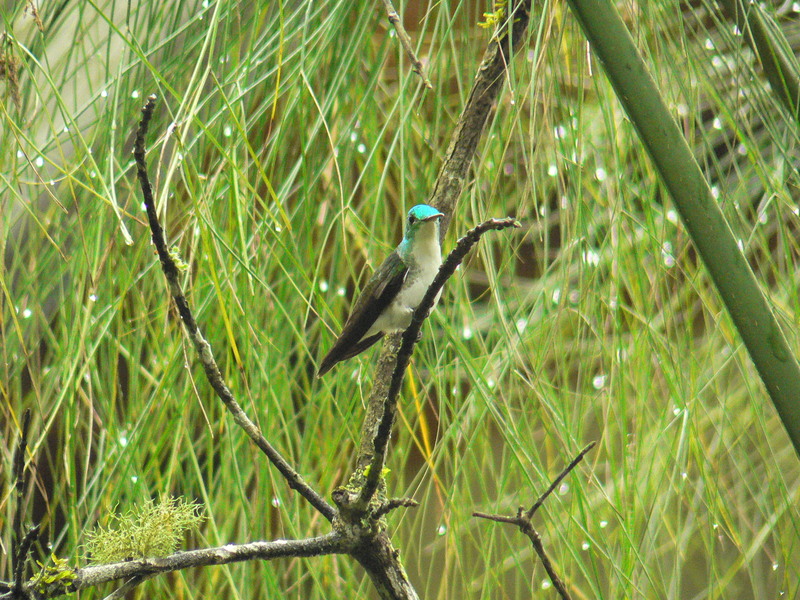 Migrating to track climate change – either by moving up mountainsides or by moving towards the poles – is not easy: temperature is not the only factor that determines whether a habitat is suitable for a species, it is just the simplest to study in order to predict how species might respond to our warming world. “Other climatic factors such as precipitation and seasonality can be hugely important for some species as can other non-climatic factors such as soil type and slope. Furthermore, biotic factors such as competition, predation, herbivory, disease, and mutualisms, may also be just as if not more important,” Feeley explains. “The more realistic you make the models, and the more variables you consider, the number of future options available to species almost invariably decreases.” Even if species are capable of keeping pace with climate change and move upslope, they will still suffer a reduction in available habitat as land area decreases the further up the mountain they go. 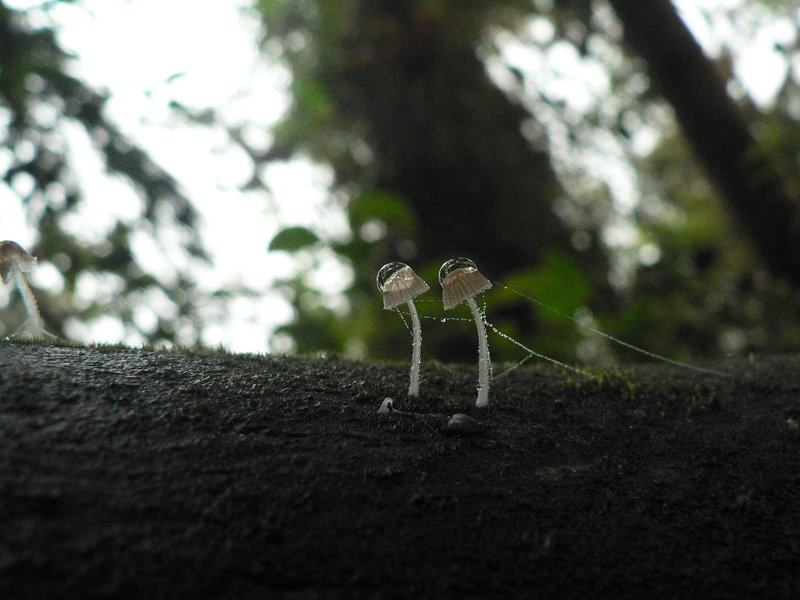 “For example, in Costa Rica there is over 6.5 times as much land area between 1800 m and the highest plot at 2800 m as between 2800 m and the highest point in Costa Rica at 3820 m elevation,” the scientists write. Species already adapted to cooler high elevation temperatures will have nowhere to migrate into. 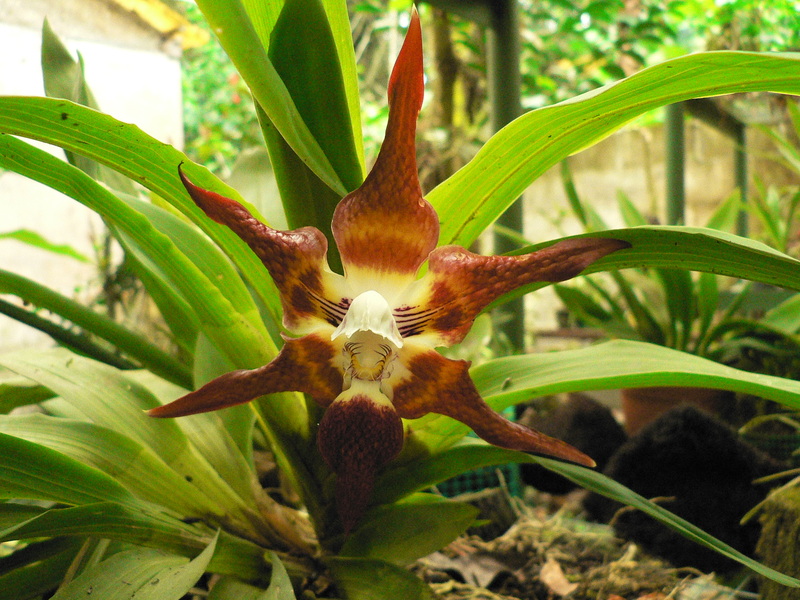 And other problems also face tropical species that are a long way from a mountain to begin with. “Within the tropics there is no latitudinal gradient in temperature. This is very important because it means that species cannot migrate towards higher latitudes to escape the heat but instead must migrate to higher elevations where it does get invariably cooler,” Feeley explains. 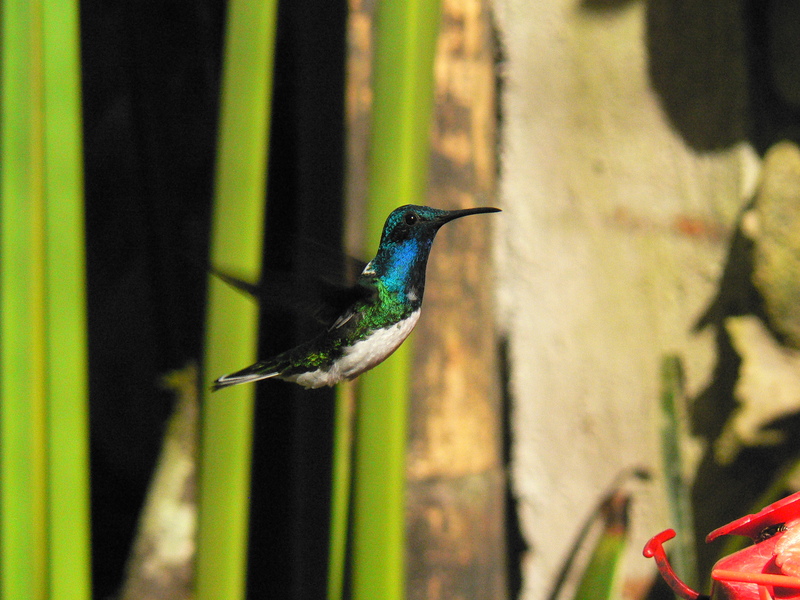 “For lowland species in the middle of the Amazon basin where it is remarkably flat, this means that they will have to migrate huge, perhaps impossibly huge, distances before they experience any sort of relief.” Add to that the destruction of habitat, and movement becomes more challenging still. Species in the lowland tropics inhabit one of the hottest regions on earth, so it is impossible to gauge their heat preferences above present-day temperatures by looking at their range distributions. However, understanding the upper limit of species’ heat tolerance would vastly improve predictions about species survival in a warming world. 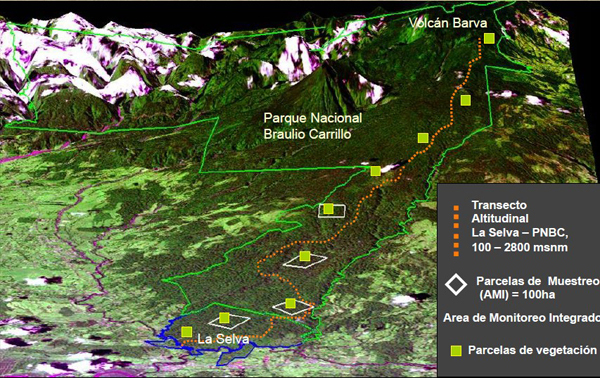 Map showing the team’s study plots (green squares) stretching from the lowlands up the mountain to a height of 2800 metres. Image credit Kenneth Feeley. “By far the single most important factor is how much warming the species can tolerate. If they can tolerate a significant amount of warming, then our predictions are relatively sanguine. If species are intolerant of warming, then their future will be dependent on migrations and predictions for the tropics become very bleak,” explains Feeley. To date, the majority of studies examining the potential impact of climate change have focused on North America and Europe. 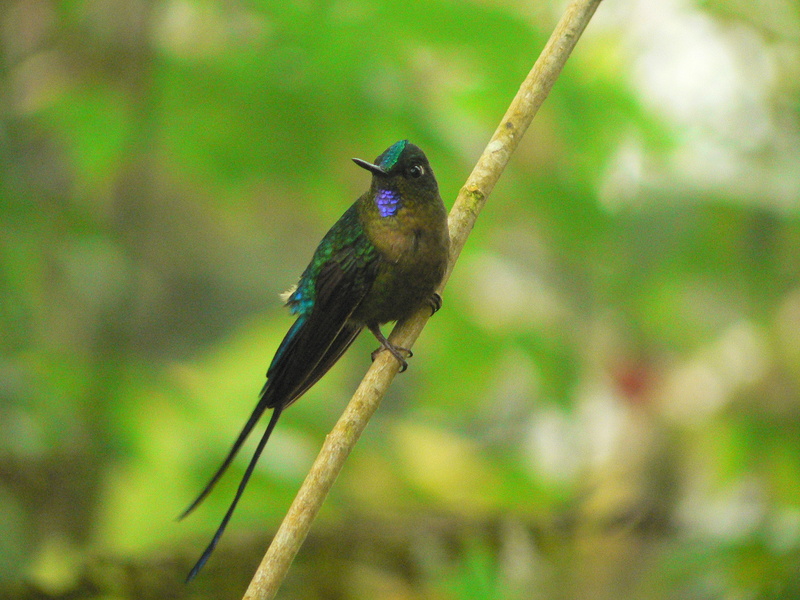 Feeley and colleagues continue to monitor their study plots in Costa Rica and Peru, and are expanding their research to better understand the processes that determine species range distributions and movements. 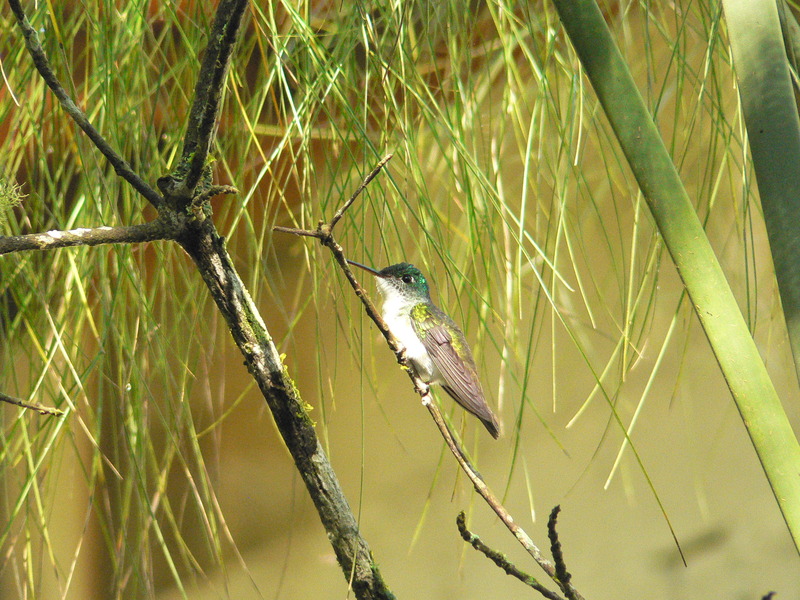 The best hope for conserving forests in the face of climate change, and climate-driven migrations, is to anticipate species movements, says Feeley. 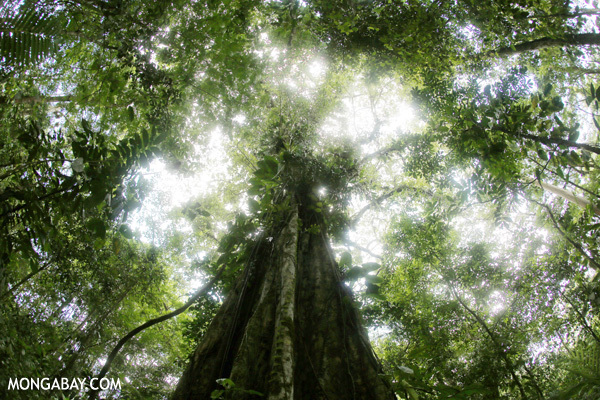 I wrote this article for mongabay.com where it was first published; you can read it here. Raising young lemurs in communal crèches benefits both mothers and offspring, a new study has found. 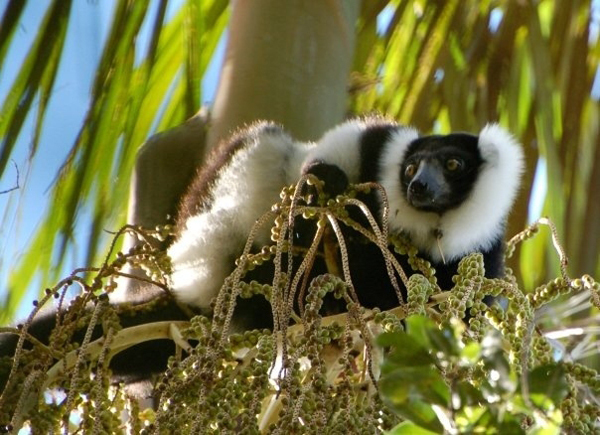 Andrea Baden and colleagues, of Yale University, studied a group of black-and-white ruffed lemurs (Varecia variegata) in Ranomafana National Park, Madagascar. This is the first study to examine the consequences of different parenting strategies in the ruffed lemur. By observing how mothers split their time between different activities, they discovered that crèche use – where infant care was shared between mothers – corresponded with an increase in the amount of time a mother spent feeding. For young lemurs, being raised in communal nests actually gave them a higher chance of survival. 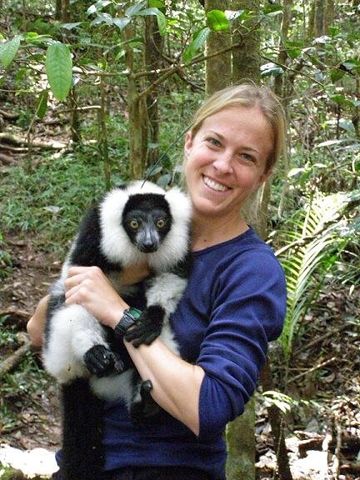 Dr Andrea Baden with a black-and-white ruffed lemur. Black-and-white ruffed lemurs are large-bodied social primates that live in the eastern rainforests of Madagascar, and have an almost entirely fruit-based diet. Reproduction is synchronized, and in this study seven females gave birth during a two week period. Unlike many primate species, young are born undeveloped, even unable to cling to their mothers’ backs, so they must be cared for in nests until they are big enough to travel independently. The study, published in Behavioral Ecology and Sociobiology, found that females built a number of nests during the gestation period, with some building as many as fifteen. Females gave birth to litters of 2-3 young, and for the first few weeks of life infants were cared for solely by their mothers. Communal nesting, typically involving two litters sharing a nest, began when the young lemurs were six weeks old. Six of the seven mothers nested communally at least once, although the amount of time their young spent in crèches varied. Two of the mothers only rarely or never shared nests. But females who shared nests were able to spend significantly more time feeding than those that did not participate in communal nesting, and time feeding and foraging increased with increasing crèche use. All infants survived until the start of the communal nesting period, but infant mortality was subsequently significantly higher for single nesters than communal ones. Behavioral observations were combined with genetic data which made it possible to work out whether it was only related lemurs that were assisting each other. 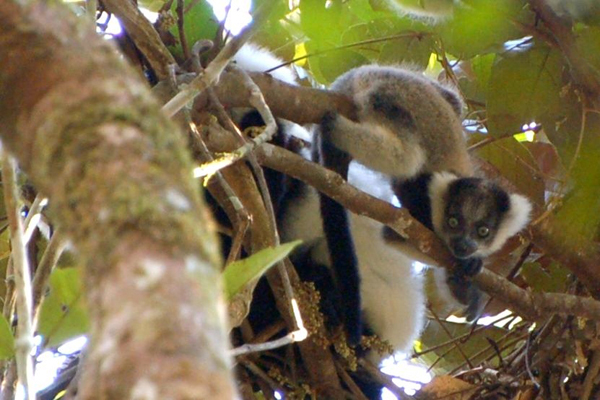 The study found that although relatedness and long-term social relationships were positively correlated with the extent of communal nest use, “not all cooperative dyads [two individuals] were related, and not all related dyads cooperated with each other.” The benefits of communal nesting were the same regardless of whether the lemurs were related to each other. In six years of study, only one reproductive event was observed. Such rare and unpredictable reproduction makes research a challenge. The scientists point out that, despite a relatively small sample size, their study “nonetheless represents reproductive output over 48 lemur-years”. The timing of reproduction is not fully understood, but it is likely that the lemurs respond to environmental cues. “In 2008, Cyclone Ivan hit. More than 2,000 [millimeters] of rain fell over the course of three days. 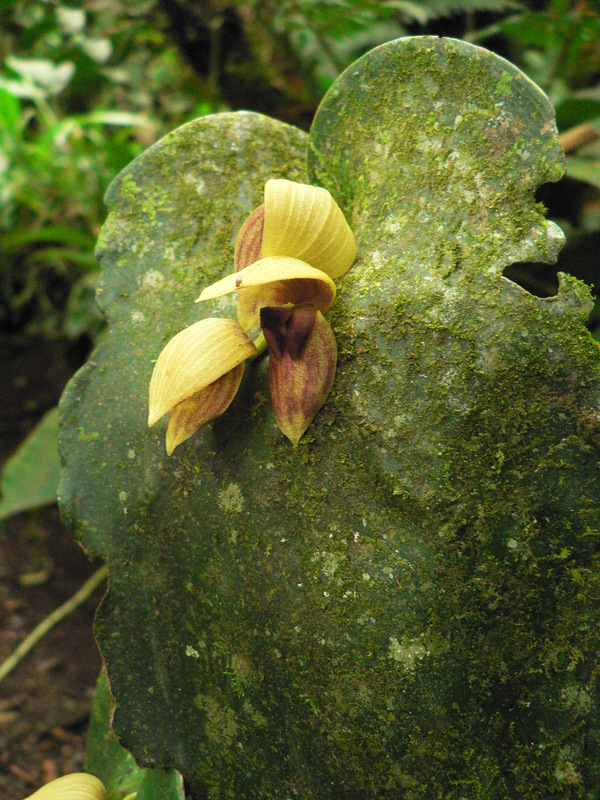 It’s possible that this somehow signaled the likelihood of a highly productive fruiting year”, Baden told mongabay.com. Female black-and-white ruffed lemur feeding. Photo by Andrea Baden. Data collection in the field. Photo by Andrea Baden. Infant black-and-white ruffed lemur. Photo by Andrea Baden. I’m excited to be featured on the super cool blog Dinner Table Science! Dinner Table Science has a mission: to get people talking about fascinating facts and exciting discoveries. In their own words, they “want dinner table small talk to be filled up with little amazing things someone learned on the internet that day”. 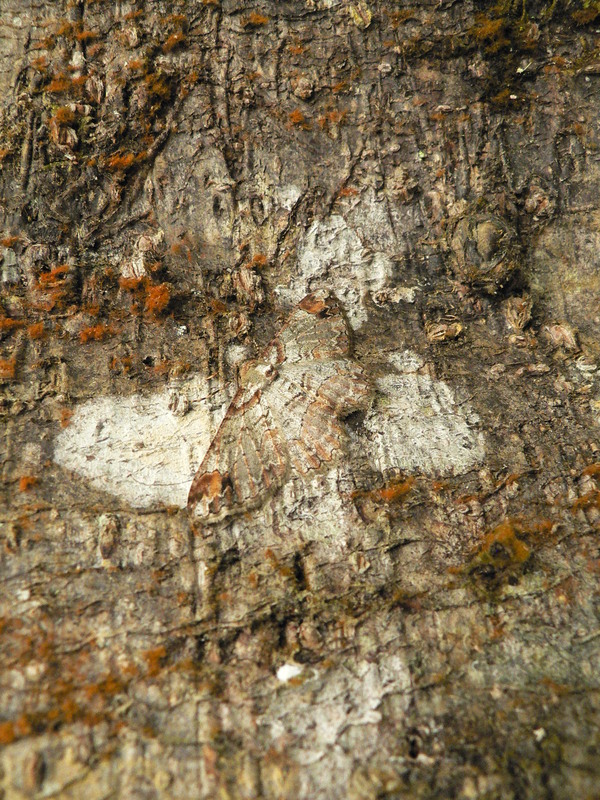 Here’s my post, on the mysterious life of the Brazil nut tree, but I recommend that you also take a look at some of the many other absorbing posts on all aspects of science. We landed in Quito just before midnight on New Year’s Eve, watching tiny fireworks silently exploding over the city. At that point, the full extent of our plan was to reach Rio in time for a return flight 15 weeks later. After a couple of days wandering in a jet-lag and high-altitude daze around Quito’s busy streets, we escaped to Mindo, two hours away by bus. This journey took us up and out of the valley in which Quito sits between volcanic peaks, and then wound down into the wet and lush cloud forest on the western slopes of the Andes. 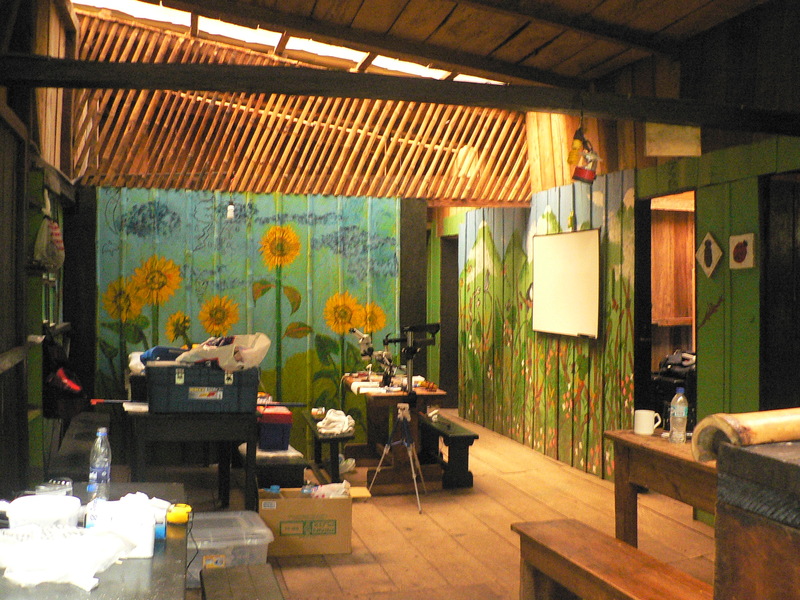 Mindo is a quiet little place, surrounded by forests and hills which often disappear into the clouds. We arrived in the rain at dusk, and made our way along virtually deserted streets to our accommodation at Cabanas Armonia. 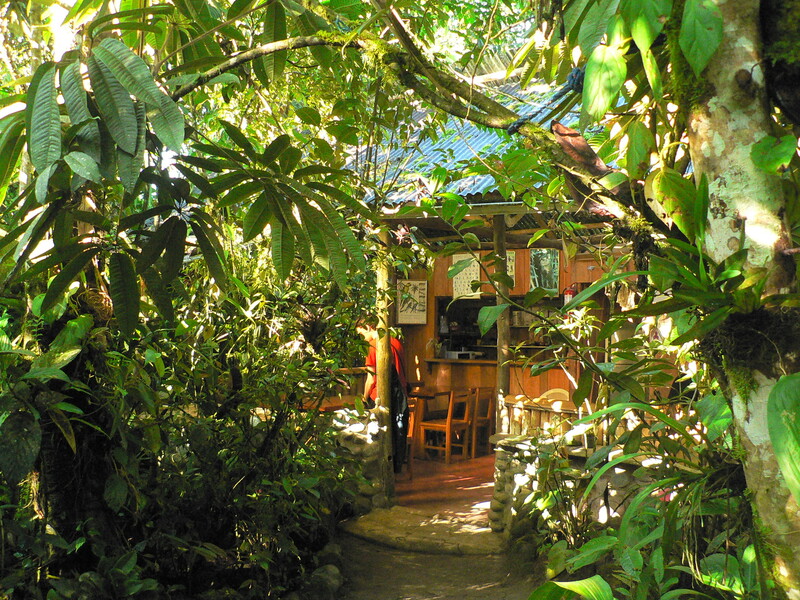 This is an orchid garden masquerading as jungle, and we were led to our little cabin, one of a handful tucked away amongst the plants. 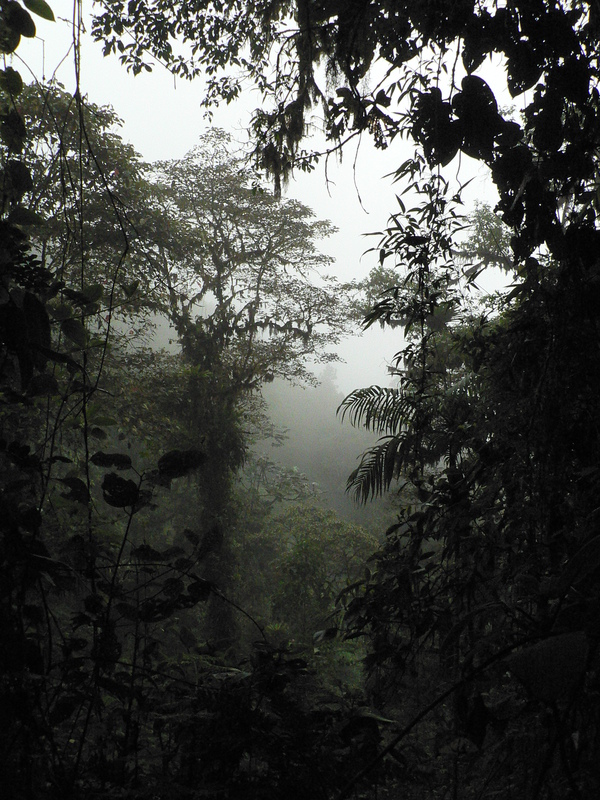 After the dry, thin air of Quito, the humidity, the smell of the wet vegetation, and the chorus of frogs, were wonderful. 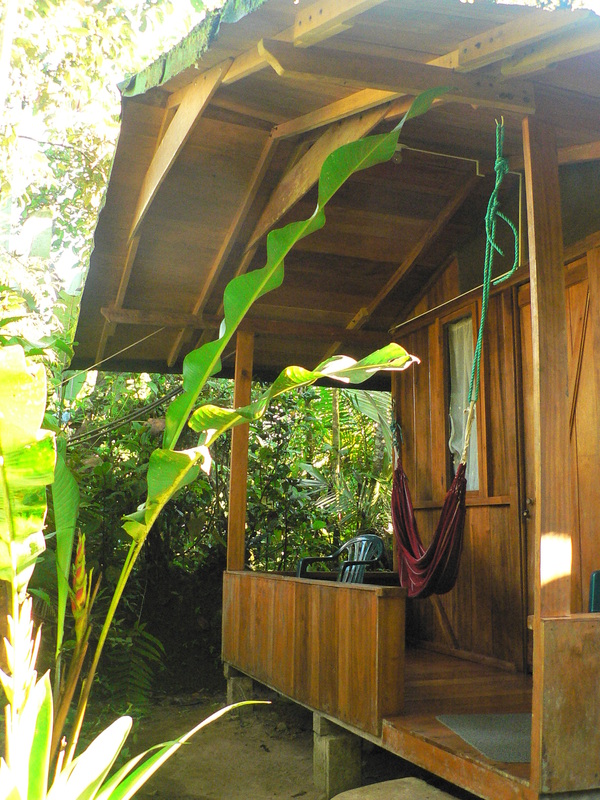 Highlights of our stay at Cabanas Armonia included lazy birdwatching from our private hammock, with toucans and hummingbirds among the many species that regularly passed by. 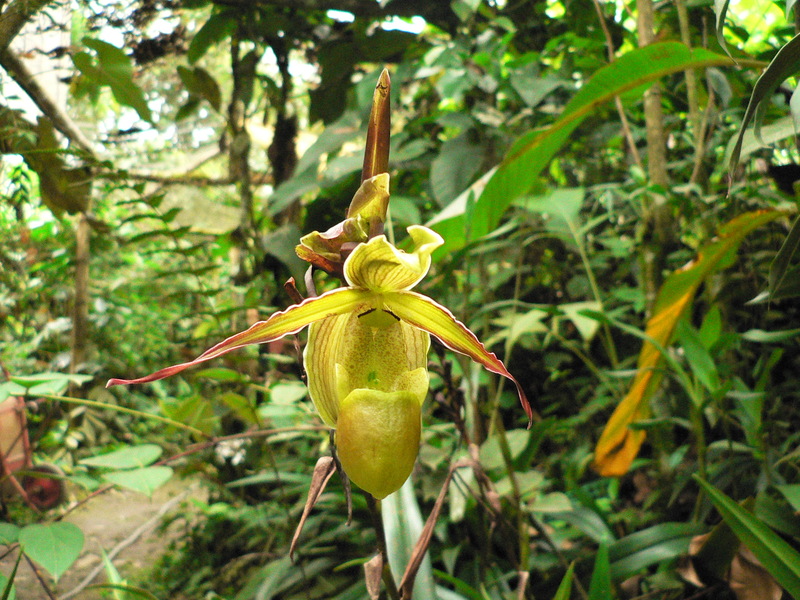 Wandering through the garden finding some of the roughly 200 species of orchid that are grown here was fascinating. 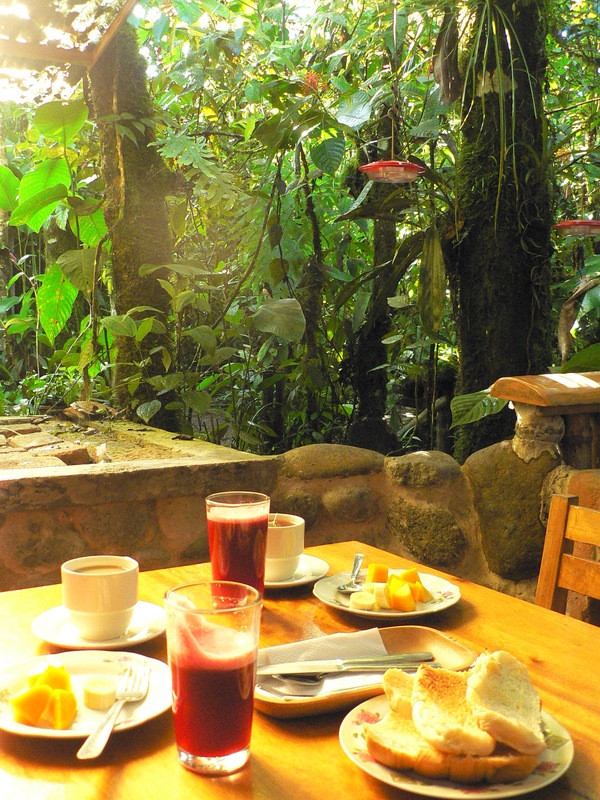 And having a delicious breakfast, outside, with a frenzy of hummingbirds zipping around so close to us that we could feel the air from their wings, made getting out of bed easy. 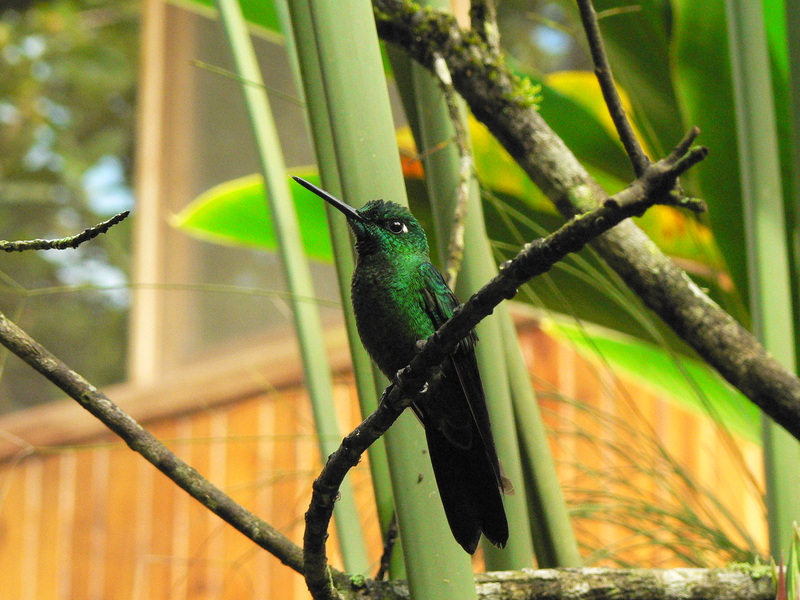 The family that owns Armonia maintains feeders for the hummingbirds, and these tiny birds drink litres of sugar water between them every day. Watching and listening to them whirr, chirp and squeak is hypnotic. And catching them with your camera becomes an endless challenge. In between poring over our guidebooks and hatching a tentative plan to visit Ecuadorian jungles, volcanoes and colonial cities en route south to Peru, we went for walks in the countryside around Mindo. 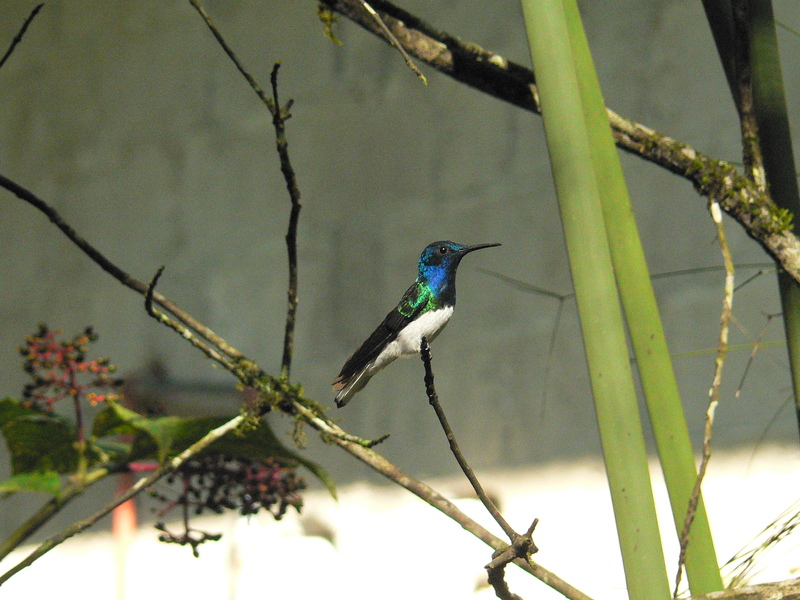 Strolls along the roads leading out of town led through verdant green valleys, coffee plantations, dripping tropical vegetation, and sightings of gaudy tanagers, toucans and aracaris, and a stunning quetzal. We took a rickety ‘cable car’, more accurately a cage on a wire, across a steep valley to walk along trails that linked a series of waterfalls in the forest. And we tried to reconcile the warmth and tropical surroundings with Twelfth Night celebrations in the church, and the curious nativity scene outside it. 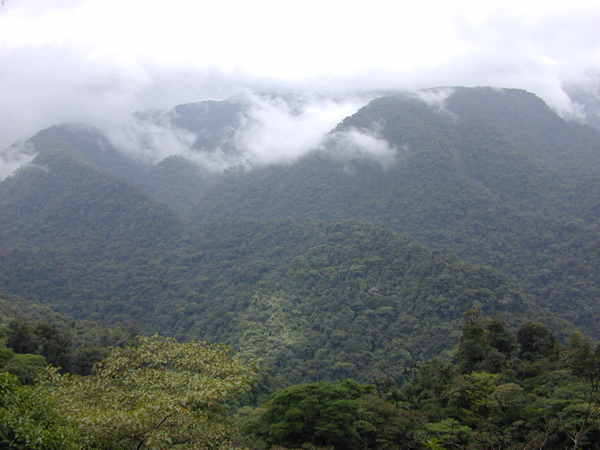 On our way back to Quito a week later we had arranged to visit Bellavista Cloud Forest Reserve, 1000m higher up the mountains than Mindo. We got off the bus at a small village called Nanegalito, and were quickly approached by the driver of a pick-up truck taxi who drove us up the steep and winding single track lane to the lodge. 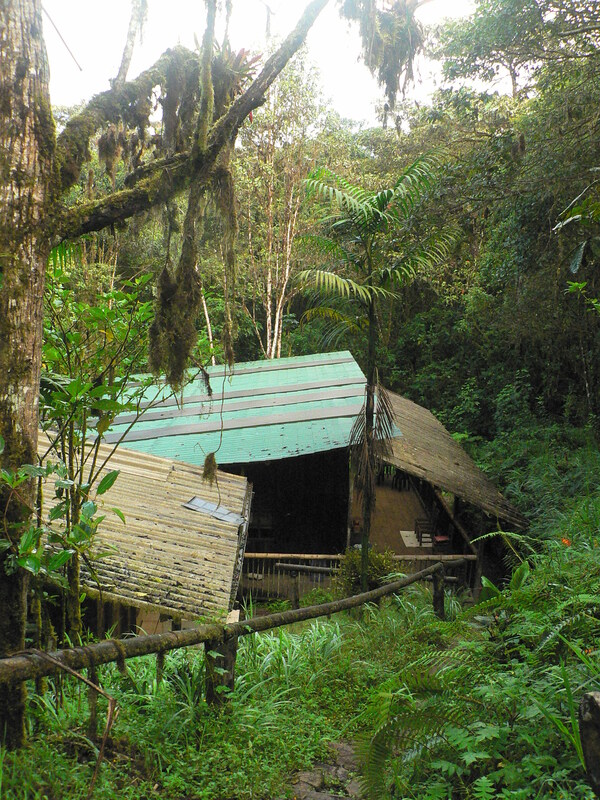 The lodge is an incredible place, within a private reserve that protects 700 hectares of hugely biodiverse cloud forest. 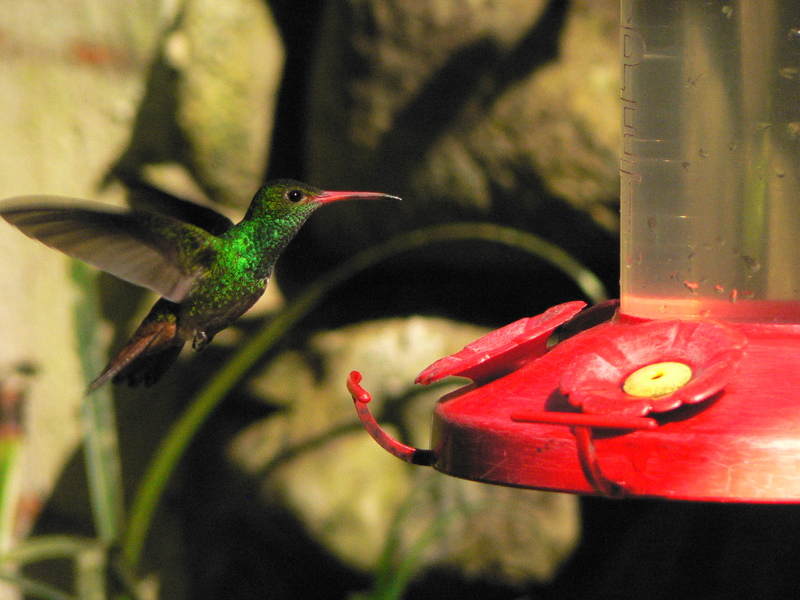 There is an extensive trail system, comfortable accommodation, excellent food, and it is renowned for its birding. 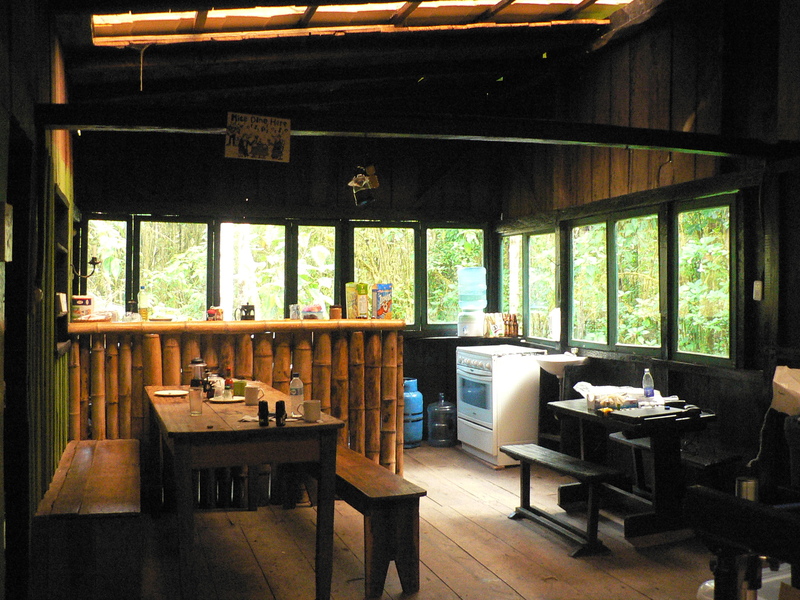 Such luxury and biodiversity meant that the lodge itself was way beyond our tight backpacker budget – but it is still possible to stay and explore the reserve: a small research station doubles as basic hostel accommodation, but incredibly, very few people make use of this. 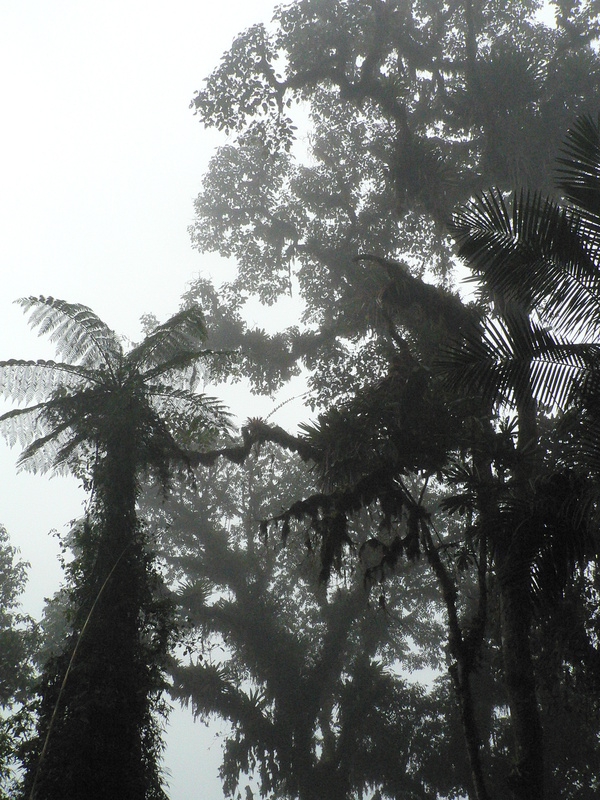 This is a big shame because the forest around Bellavista is like nothing we had seen before – huge tree ferns, and trees dripping with multiple layers of vegetation, shrouded in ethereal mist and cloud which sometimes broke to reveal the precipitous view down to the valleys below. 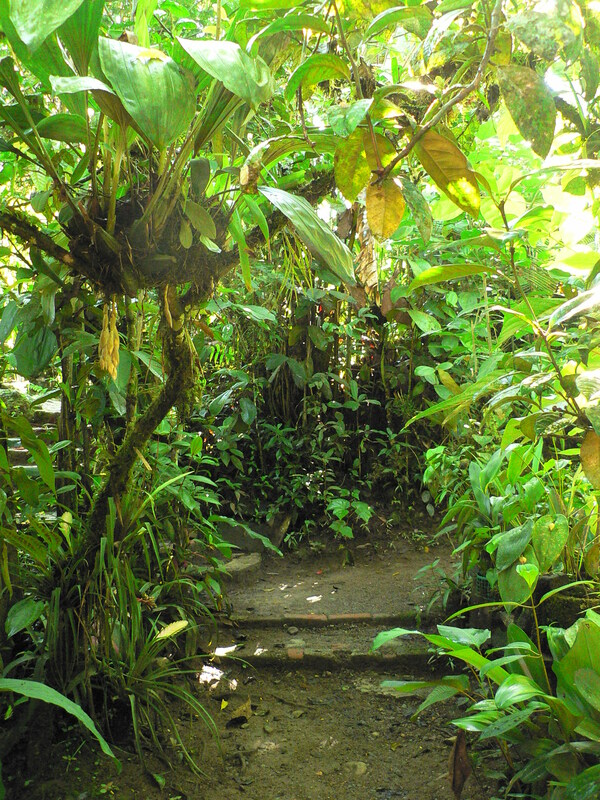 The trails were easy to follow, and took us up and down steep ravines to hidden streams. 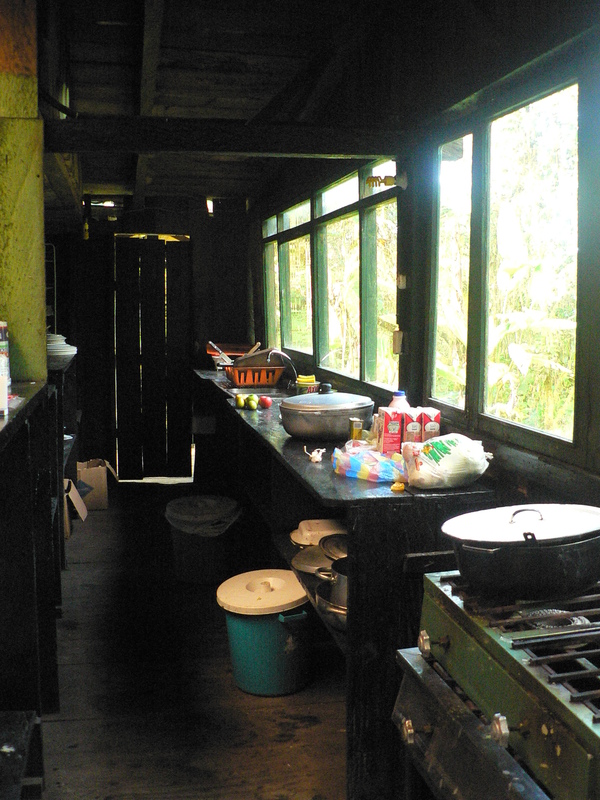 The research station accommodation was basic, but we had a warm bed and a hot shower, and pots and pans to cook with over a gas stove. Fellow residents included scientists from the States, their Ecuadorian research assistants, a couple of temporarily captive birds that were the focus of their studies, a sink-full of beetles collected for a small project, and a noisy mouse who helped itself to a chunk of banana in the kitchen. 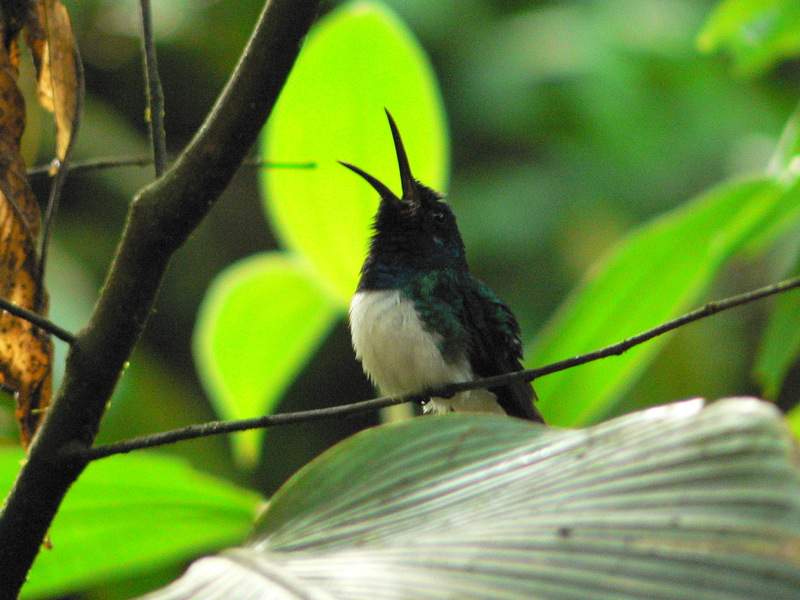 The captive birds were, of course, early risers and woke us from their room next to ours with an ear-splitting duet at dawn. Electricity is from a generator that is only run for a few hours a day, and as we were virtually on the equator it got dark about 6. Evenings were spent quietly by the light of candles and headtorches, listening to the myriad noises coming from the forest. It was the duetting of the birds that interested the scientists, as explained by Dr Eric Fortune in this video. The song he plays is the one that woke us each morning. It would wake the dead. After ten days of cloudforest meanderings we made our way back to Quito, pausing to pose at the equator for a photo, bedraggled in wet and muddy clothes from the last hike along the trails that morning. Everything we had was damp, and had been for days, and just as the humidity had been so welcome after the dryness of Quito, returning to dry land was also a great relief after such a soggy time. 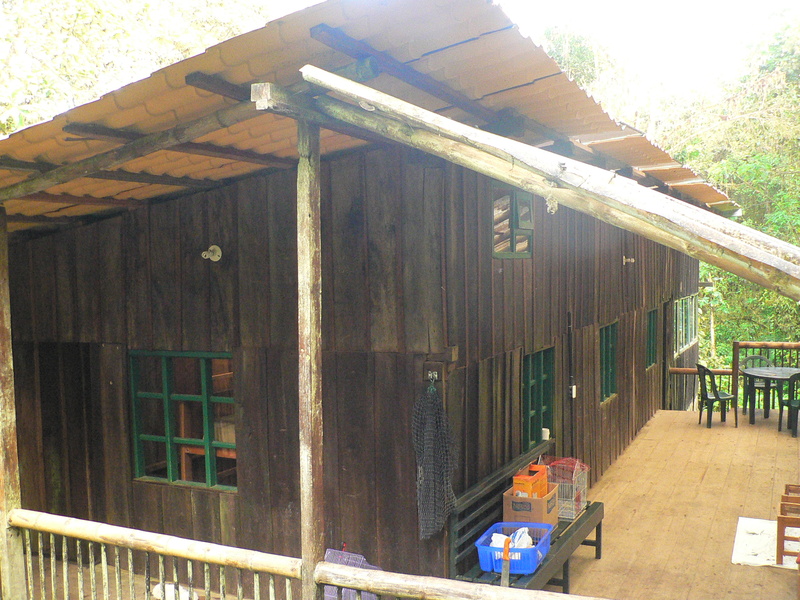 Our clothes soon covered every available surface in our hostel room, and were dry by the morning.